Goat’s cheese doesn’t always get the respect it deserves in this country. That’s partly due to Britain’s climate and landscape being suited to grazing cows and making big cheeses, such as Cheddar and Lancashire. It’s also because many people have only ever tried those mass-produced logs of goat’s cheese that either taste of nothing or have such a “goaty” tang they put people off for life. But it doesn’t have to be this way. Britain now makes some acclaimed goats’ cheeses that have earned the right to strut their stuff on any cheeseboard. British goat's cheeses, such as Tymsboro, Cardo and Stawley, are among the very best cheeses he has to offer. Cardo and Tymsboro are produced by veteran cheesemaker Mary Holbrook using milk from her own herd at Sleight Farm near Bath, while Stawley is made in the village of the same name by newcomers Will and Caroline Atkinson. 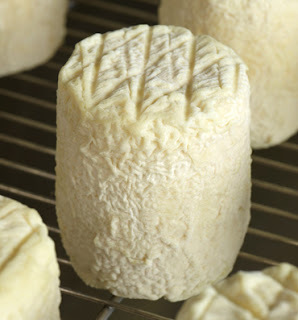 Shaped like a pyramid with the top cut off and a pretty charcoal-dusted rind, Tymsboro was one of Holbrook's first cheeses and is similar to a classic French Valençay. It's made with raw milk and is creamy with a silky smooth texture when young, but can be aged for up to two months becoming denser and more concentrated in flavour as it matures. 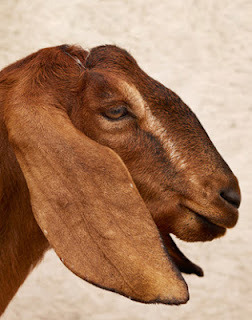 Intensity is also a characteristic of Cardo – a much larger washed rind goat's cheese that is based on the mountain 'queijos' of Portugal. Holbrook uses the dried petals and stamen of a thistle-like plant called cardoon to curdle the milk, rather than traditional rennet, before cutting the curd by dragging her bare arms through the vat. The unusual production process leads to a cheese with a unique texture, ranging from meltingly soft to quite firm, while the flavour takes in chicory notes from the cardoon with a big meaty hit from the sticky orange rind.